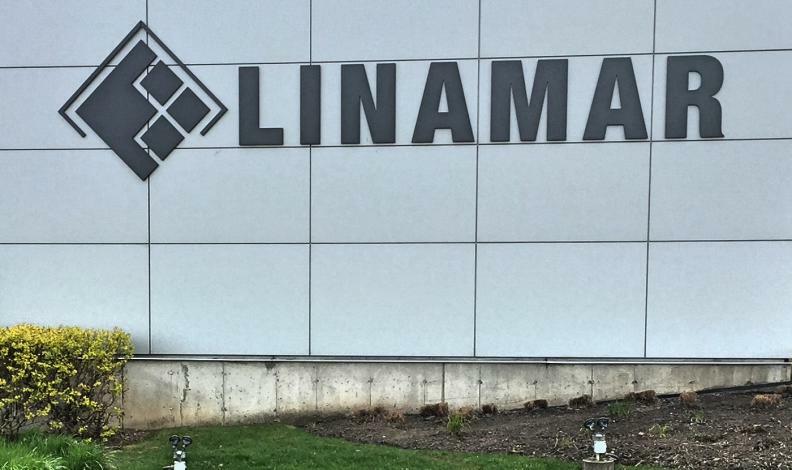 Canadian parts supplier Linamar Corporation reported lower third-quarter net earnings of $107.3 million, down 12.2 per cent over the same quarter last year. Linamar said unfavourable foreign exchange rates, a declining North American auto market and lower-margin product launches are some reasons for the lower earnings. The Guelph, Ont., company's operating earnings for the third quarter of 2017 were $141.9 million, compared with $163.9 million in 2016, a decrease of $22.0 million. However, the company said that before non-recurring items and foreign exchange impacts, its earnings increased 9.2 per cent. Sales for the three months ended Sept. 30 grew to $1.55 billion, up from $1.46 billion in the same quarter last year. Sales in Linamar’s powertrain and driveline division, which is mainly focused on the auto industry, increased by $62.0 million, or 5.1 per cent during the third quarter of 2017. The sales increase was affected by additional sales from launching programs in Europe, Asia and North America; increased volumes from light vehicle automotive customers in Europe and on select programs in North America; and additional sales to on- and off-highway vehicle customers. However, operating earnings for the powertrain and driveline division were lower by $16.1 million, or 13 per cent over 2016. The company said the division’s earnings were negatively affected by an unfavourable foreign exchange; unfavourable product mix resulting from the North American automotive market decline's impact on higher margin mature programs; and increased management and sales costs supporting growth. "We have had another strong quarter at Linamar despite soft North American vehicle markets," Linamar CEO Linda Hasenfratz said in a statement. "Launches are driving sales up in the powertrain/driveline segment to more than offset a down North American market and earnings will of course follow. “Our Industrial segment continues to power along taking market share and is surpassing industry growth levels. We continue to generate cash to position ourselves positively for future growth and continue to see new business wins at a blistering pace." The company’s industrial sales increased 14.1 per cent to $260.3 million. But, the segment’s operating earnings decreased $5.9 million, or 14.9 per cent when compared with the third quarter of 2016. Earnings in that divsion were negatively affected by foreign exchange; lower margins as a result of changes in customer and product mix favouring new launching products with lower margins; and increased management and sales costs supporting growth. Linamar Corp. of Guelph, Ont. ranks 59th on the Automotive News Top 100 Global Suppliers List with $4.6 billion (US$3.5 billion) in sales in 2016.